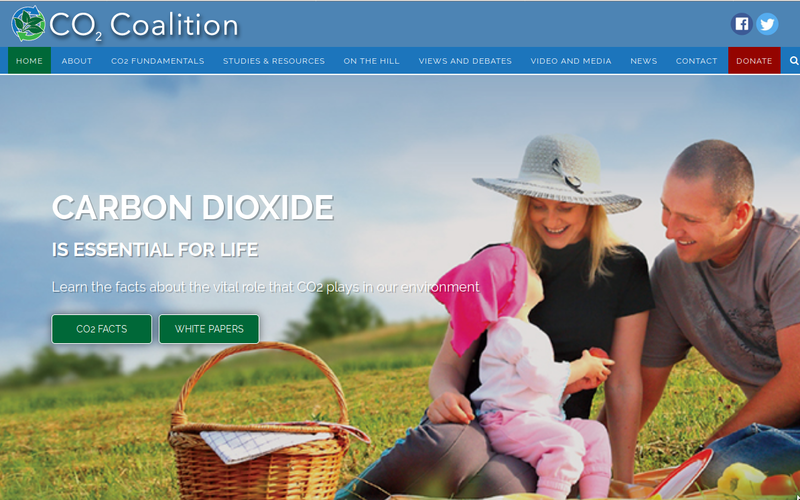 Libertycon's other sponsors included three notorious climate denial groups, including the CO2 Coalition, backed by billionaire family foundations (including the Mercers' foundation and the Koch foundation), who argue that increased atmospheric CO2 is "good news" for the planet; they distributed literature to "explain how our lives and our planet Earth will be improved by additional atmospheric carbon dioxide" because "more carbon dioxide will help everyone, including future generations of our families" and the "recent increase in CO2 levels has had a measurable, positive effect on plant life." The conference featured a presentation by Caleb Rossiter, a retired stats prof who sits on the outer fringe of the climate denial movement; he praised higher atmospheric CO2 levels ("I'm cheering") and claimed that "There has been no increase in storms, in intensity or frequency." He also claimed that increased CO2 levels "improve life expectancy"
The Big Tech companies claim that their sponsorship of Libertycon is part of their wider political event funding that crosses party lines and is nonpartisan in nature. But conferences that give platforms to climate deniers are not part of the normal political discourse: they are as dangerous and beyond the pale as conferences that feature eugenicists. I believe that those people should be allowed to have conferences! But I also think that anyone who gives those conferences a dime is either an immoral opportunist or a sociopath.